Largest Abaya: Who made it? Let’s find out who breaks the record by making the largest abaya in the world? They are the students at Mawaheb from Beautiful People. 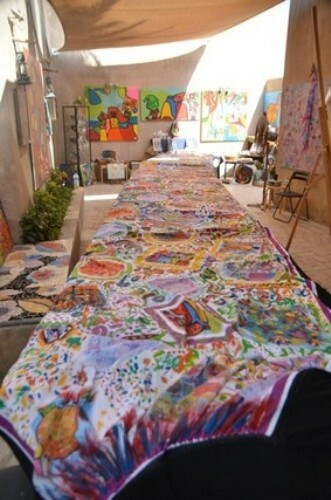 It is an art center who covers the adults with special needs. The students cooperated with Future Fashion. Both had the similar idea to create the largest abaya and broke the Guinness book of record. I believe that it cannot be worn by human being due to the very massive and large size. The abaya is made with the help of the famous designer Ayesha SN. All artistic designs of the students are utilized by Ayesha when the students wanted to decorate the abaya. The length of the abaya measured at the sleeves is round 5.47 meters. It has 10 meters tall. The bottom width of the abaya is measured at 4.02 meters. Making the largest abaya is not only a great achievement since it can break the world’s record. The director and founder of Mahaweb center, Wemmy De Maaker further stated the students who have special needs are talented and creative. They should be a part of the community. There is no special name of the magnificent abaya. People can call it the Largest Abaya. 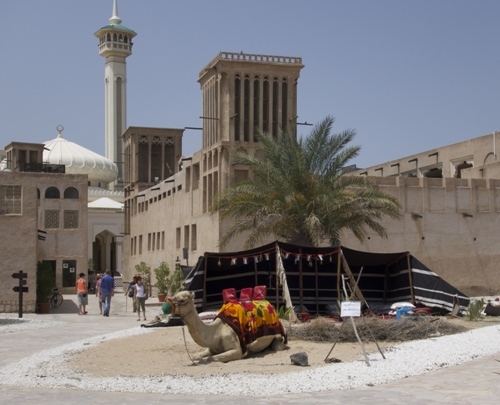 After it was made, the abaya was placed at the entrance of Dubai’s Sikka Art Fair. The largest abaya is an amazing creation even though we cannot wear this cloth. It is too big for the human being like us. But it can be a symbol for the people with special need that can be as creative as the normal people. The art that you can find on the front part of the abaya is amazing to view. The base color of the garment comes in black just like any other abayas. Do you want to say something about the largest abaya in the world?